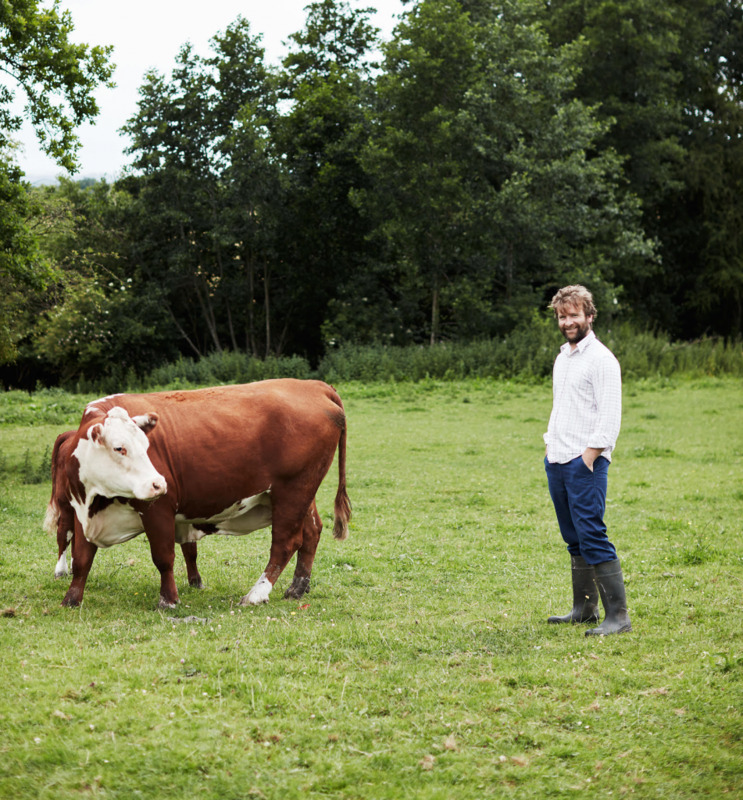 Farmer Tom is a farmer, butcher and cook who creates hearty, rustic food. He grew up in the beautiful Welsh borders surrounded by fields, farms and food. After studying drama at university in London, Tom headed home to run the family farm. Full of big ideas, staunch determination and a bucket load of charisma he turned the traditional family business on its head and in 2002 began providing top notch restaurants with top notch meat. Great Queen Street, The Magdalen, The Clove Club, Lyle’s and Barrica are among his very happy customers. Cooking for people unleashed his passion and fascination for flavours, simplicity and a satisfying feed. His aspirations moved towards using his meat as the focus for creating rustic, tasty, uncomplicated dishes at reasonable prices.